Who Does The Premier Business Card Appeal to Most? Decision Time: Is the Southwest Premier Business Card Right for You? Those who have to travel on business regularly need to be able to have the best possible travel experience. For this reason, many people seek out travel rewards credit cards and airline miles credit cards. These cards can offer convenient perks while also allowing travelers to earn rewards for spending money on travel. If your business spends a significant amount of money on travel each year, then it just makes sense to have access to an airline credit card that will reward you. 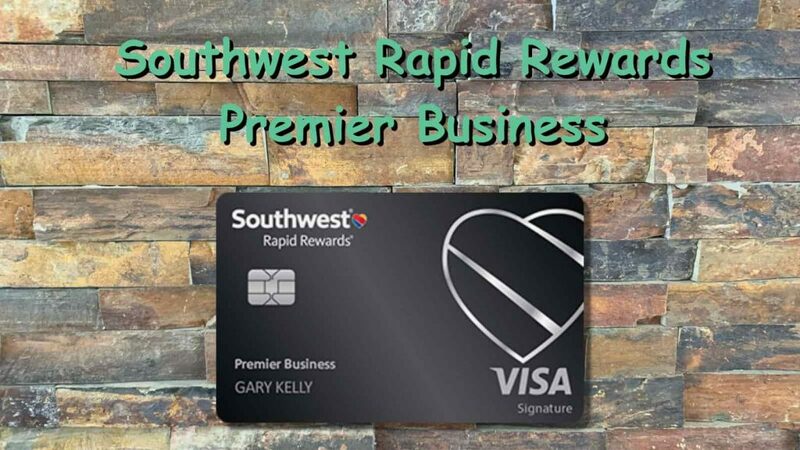 Businesses that fly through Southwest Airlines will really like the Southwest Airlines Rapid Rewards Premier Business Credit Card. This card can offer you significant rewards and several interesting perks. 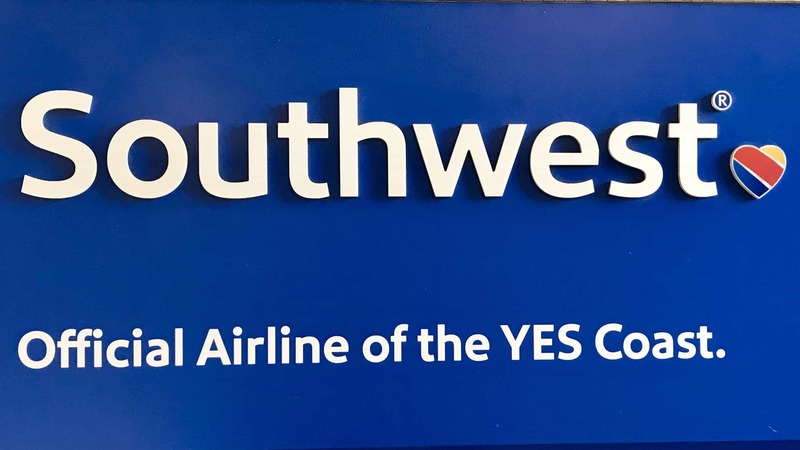 If you want to be able to earn miles to use at Southwest Airlines, then this may be the best possible option for your business. Even so, there are many travel rewards credit cards out there that can be quite lucrative so you will want to take your time to consider your options. Join us as we take a look at this credit card from every angle. We are going to examine the features, benefits, rewards program, and much more. This will give you a good idea of whether or not this credit card will be the right fit for your business. Read on and look into all of the important details with us. Knowing how much a credit card is going to cost you is an important part of determining if it will be compatible with your business. This card is going to have an annual fee of $99 that you will have to contend with. It is not quite as high as the luxury travel credit card options for businesses so it should not bother most people. This fee falls in a reasonable range for businesses that want to have access to a reliable airline credit card that can earn rewards at a decent rate. Another positive aspect that you should take note of is that this credit card does not have any foreign transaction fees. This is perfect for businesses that have to travel abroad regularly. If your business trips see you traveling outside of the country sometimes, then you will never have to worry about paying any special fees due to foreign transactions. It makes it more practical to use your credit card when it is needed. The APR of this card is generally okay. This is not going to be an overly high APR card but it is not exceptionally low either. Your business will likely be comfortable with the APR on this card and it should not cause any issues. If you need to carry a balance on this credit card, then it will not be a terrible burden or anything. Businesses will also not have to worry about change fees when they use this credit card. Sometimes changes need to be made to a flight due to business problems or meetings getting switched around. It is good to be able to avoid change fees entirely. It can wind up saving you money in the long run and it should prove to be a handy feature for your business. One good feature that will help to make this card more tantalizing for potential cardholders is the sign-up bonus. Many credit cards offer sign-up bonuses so this is not too unusual. What makes this offer worth noting is that it is actually pretty easy to get. For spending a fair bit of money within the first three months of being a cardholder, you will earn a large chunk of reward points. Points can be used to book flights and will immediately help you to offset that annual fee. To add to this, Southwest is also going to give you a little annual bonus every time your card anniversary comes around. Cardholders are given 6000 bonus points every anniversary and the total value of these points will come close to paying for that annual fee. It makes it worthwhile to be a cardholder and will be a very practical feature that you enjoy throughout the years. This is a pretty interesting perk that Southwest does with their major travel credit cards and it should be great for your business. Another great feature is that you can get employee cards without having to pay an extra fee. If you need to give credit cards to trusted employees who you are sending out on business, then it will be easier than ever with this card. Southwest will send out cards and attach them to the business account without charging you any money. Many other business credit cards will have a hefty fee attached to employee cards so this is a big benefit. There are some pretty big benefits to this credit card that will appeal to your business. The most sought-after benefit is definitely the companion pass. 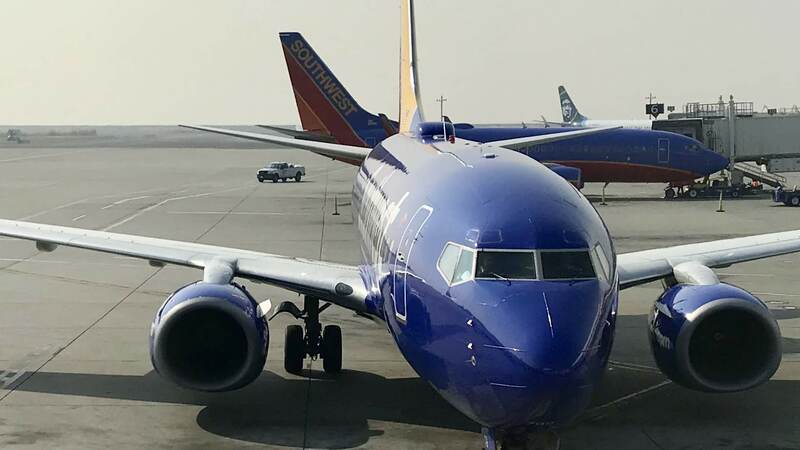 In case you haven’t heard, Southwest Airlines has a companion pass program that allows one person to fly for free every time that you redeem your points for a flight or purchase one. This is not an automatic benefit that you will have access to, though. In order to earn the privilege of this amazing perk, you need to earn 110,000 points in a calendar year. Once you meet the qualifications, you will be able to take advantage of the companion pass during the next year. Most businesses will very easily reach 110,000 points per year so long as they travel frequently. This means that you can fly two employees out on business for the price of one when you’re redeeming your points. You also will not have to put up with any blackout dates. Being able to redeem your points for flights on any day is going to be handy for your business. You will be able to fly even when it is a very busy time of the year for travel. It keeps you in control of how and when you want to use your rewards points. There is also the great benefit of having no seat restrictions. Some rewards flights will keep you from getting the seats that you truly want but that will not be the case here. You will also be able to enjoy the Southwest perk of having your “bags fly free”. This keeps your business costs even lower by allowing you to avoid costly baggage fees. The rewards program for this credit card is pretty good overall. You will be able to earn 2X points on every $1 spent on Southwest Airlines purchases. All other purchases will allow you to earn 1X points for every $1 spent. Businesses that travel regularly through Southwest Airlines can certainly rack up the rewards points. One unique feature of this rewards program is that points can be awarded on balance transfers. This is not normally the case for credit cards so you can potentially take advantage of this to increase your rewards potential. You can earn one point for each $1 of your balance transfers for the first $15,000 made in the first 90 days after opening an account. If you need to transfer a balance to this credit card, at least you will be able to earn some rewards from it. Being able to redeem your points should always be simple with this card too. You will be able to redeem your points for flights and you will also have some other options available to you. Truthfully, the best way to redeem your points with this credit card is to use it for travel expenses. You can book flights with your rewards points in order to offset travel costs for your business and maximize the value of your points that way. The companion pass is definitely one of the premier reasons to consider signing up for this credit card. This is going to help you to keep your travel costs very low. Earning the companion pass privileges will not be too tough if your business travels often enough. You should be able to get access to the pass for your second year as a cardholder without too much trouble. This credit card has good overall reward points values as well. Being able to earn 2X rewards points on Southwest purchases will definitely be good. When you go to redeem the rewards, you will be able to book flights to maximize your reward points potential. The exact value of one reward point will differ depending on the type of flight that you have booked but it will certainly be a great value overall. The annual bonus that you will receive for every credit card anniversary is so helpful. Being able to earn 6000 bonus points to use on anything that you desire is a nice touch. It helps to offset that annual fee of $99 and it makes it easier for you to keep your costs low. You will always be able to count on this annual bonus no matter what and you do not need to do anything special to earn it. Sign-up bonuses can be hit or miss with travel credit cards for businesses. This one is most certainly a hit. You will very easily be able to earn a hefty chunk of points for spending a certain amount in the first three months as a cardholder. This helps you to earn that companion pass status more easily too so the sign-up bonus is definitely something that makes being a cardholder worthwhile. All credit cards are going to have certain aspects that make them less appealing. This one has an annual fee of $99. This is not overly high but it is still something that you need to consider. If you are not comfortable with fees such as this, then it may harm the appeal of this credit card for you somewhat. Using this credit card is going to limit you to flying with Southwest Airlines too. If you like having more choice for which airlines you are going to fly with, then this is not going to be your type of credit card. This card is really for those who are committed to being Southwest Airlines customers. Keep this in mind before proceeding. It should also be said that the cash-back options are not good for this credit card. If you are interested in earning cash back for your business, then you should really look elsewhere. 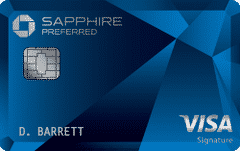 This is a fairly pure travel credit card that is going to lean heavily on travel rewards redemptions. If you want to have more options, then you should look into different cards on the market. You will be able to redeem rewards for flights, rental cars, hotels, and other things. The redemption options are really so-so and you will mostly want to redeem rewards for flights. If you like more redemption options for your reward points, then you may be a bit disappointed here. Redeeming for flights is really good overall but the other options may not give you quite as much value. Getting approved for this credit card is not going to be easy for all businesses. You will need to have excellent credit in order to qualify for this credit card. Credit scores in the very high 600s and above are highly recommended for those who want to have the best chances of approval. Do your best to check your credit score ahead of time so that you will know what to expect. This credit card is going to appeal to a couple of different types of businesses. Firstly, it is going to appeal to businesses that travel very regularly. If you have to fly yourself or your employees around the world regularly, then this might work out great for you. It will give you a chance to earn an ample amount of rewards and you will have a better travel experience. You will also find that this card appeals to people who are already loyal to Southwest Airlines. If your business has been booking through Southwest Airlines already, then the credit card is going to make more sense for you. You need to fly through this airline exclusively to get the most out of the credit card. If you are not ready to commit to one airline, then you will not have the best experience with this particular card. Businesses that need a practical alternative to this credit card may wish to consider two different credit cards. The first is the Capital One Spark Cash for Business credit card. This is a very practical credit card to use for just about any business. You will be able to enjoy getting 2% cash back on all of your purchases with this card and you will not have to deal with any categories. See our full review of the Spark Cash. 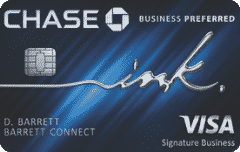 Another good credit card to consider is the Ink Business Preferred Card from Chase. This is going to allow you to earn 3X rewards on your first $150,000 spent on travel purchases. That is a high figure and is going to work out very well for most businesses. You earn 1X points on all other purchases too so it can work out well if you want a business card to use for travel that is not tied to a specific airline. The Chase Ink Preferred also comes with the best signup bonus of all cards, and the points are transferrable to Southwest. See our full review of the Ink Business Preferred. The Southwest Business credit card is a good option for you, but these other cards are better for certain types of businesses. You have to think about your needs in order to make the best decision. 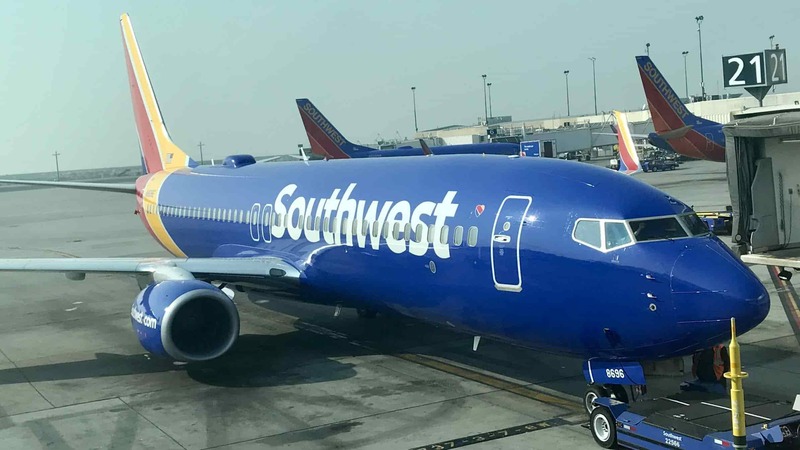 If you want to redeem your rewards for flights, then the Southwest card is a great deal. Businesses that want other options should look into the cards above. The Southwest Airlines Rapid Rewards Premier Business credit card is a very good option for certain businesses. You just need to keep in mind that you will get the most out of this card if you fly through Southwest Airlines. 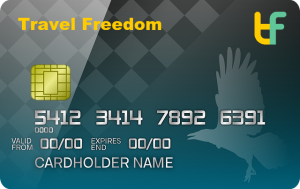 This is a type of loyalty airline credit card that will show its true potential to those who fly often. If you use this credit card in the correct fashion, then it can certainly help you to earn rewards at a good rate. It is simply important to know that your business can take advantage of this credit card properly before you decide to sign up. Some businesses may not travel quite often enough to make this the best credit card to use. Others will want to have more flexibility with how they redeem rewards. This is a very good credit card but it has its flaws just as does any other card. As long as you read through all of the above information and take everything into account, you will be able to make a good decision. This card may work out fantastically for you or it might be not quite what you were hoping for. Either way, there are great credit cards out there that will work for your business. Taking the time to get the right one will pay off by helping you to mitigate those travel expenses.